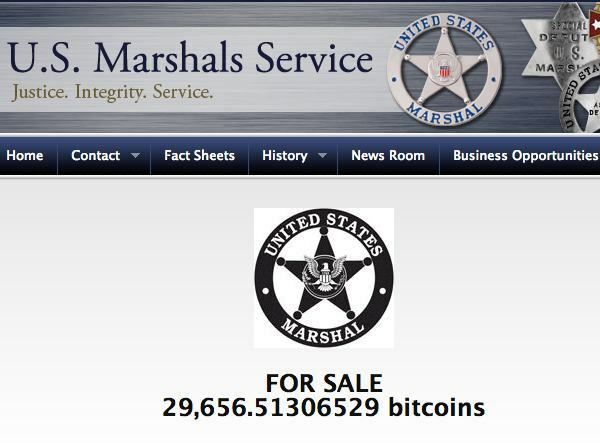 The FBI auctioned the Bitcoin off to the highest bidder(s). The day before, the media was in a frenzy about how it would create so much volume in one day, that the price of Bitcoin would tumble. Looking at the price today, it’s up 5% since the auction. The more important thing is that the FBI, and US Government, has now admitted that Bitcoin is a real currency, or means of exchange. Imagine if they took other contraband and sold it when they were done. Two tons of marijuana, or 100 liters of meth. They can’t, because those items are illegal, and have no legitimacy in the US economy. Apparently Bitcoin is legitimate. Thank you FBI. 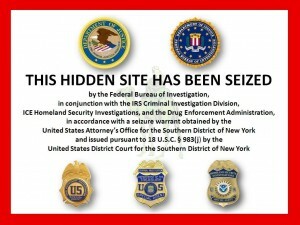 When the FBI busted the Silk Road website, they confiscated 144,000 Bitcoins. You can check out their wallet here: https://blockchain.info/address/1FfmbHfnpaZjKFvyi1okTjJJusN455paPH. At today’s price, that is $144 Million dollars worth. Every day the FBI confiscates drugs, cars, houses, guns, and money. Typically they hold these items as evidence. Once the criminal is prosecuted, the items are either destroyed or sold at auction. As the case of Ross Ulbricht, the owner of Silk Road, comes to a close the FBI has hinted they plan to sell the Bitcoins. Well guess what? The FBI is essentially admitting that Bitcoin is a real currency. If it was not a currency, they would have it classified as contraband and would destroy it. Keep an eye on their wallet. Once they start selling, they are admitting Bitcoin is for real. Most likely, you can expect a price drop due to high volume selling. Once all of the coins are absorbed by the market the price should recover even higher. MichLLL. Well, I’m 27y/o and live in the midwest, USA. I have a BS in Math, and currently work at a large pharma. They are paying for me to attend grad school. I should have a masters in Genetics in the spring of 2015. Subg. Do you own any bitcoin? Subg. Come on, last week you gave me a number, like a 1000 or so?? MichLLL. As of today, I have 800. MichLLL. Plus about 5 more on my phone. Subg. What happened to the 1000 figure? MichLLL. The stress was really getting to me, I was waiting for a bank wire for the sale of 200, and recently locked in the funds. So now I have about 800. Subg. Damn, Is that real? That is over $200k at todays price. MichLLL. It doesn’t feel like it yet, but every week I think it might be. MichLLL. I think once I pay off my townhouse it will sink in. MichLLL. I’m going to the bank on Tuesday to get the payoff & settle the note. Subg. You know, taxes are going to get you. MichLLL. I know, I’m thinking about a lawyer and acccountant for the next block sale. I’d like to always have 100 coins, so I may sell 700 this year. Some other guys on the forum are thinking about becoming German citizens to reduce their tax load. MichLLL. Yeah, I know 5 or 6 with multiples of what I have. Subg. How did you get started on this ride?? MichLLL. I probably wouldn’t have graduated and of course it led to where I am now. MichLLL. My brother Robert owed me $20 for beer and cigs. Of course he’s always broke. He got a degree in finance 3 years ago & still doesn’t have a job. Anyway, he somehow got 40 bitcoins. I’m sure you can figure where he got it, because he can barely turn on a computer. MichLLL. Something like that. Silk Road wasn’t around then. I took the coins, and starting reading about bitcoin. Within weeks I was running a Linux mining script on my game machine. The coins were rolling in. At one point I traded 400 bitcoins for a second computer. Within 6 months, both computers became worthless, at least for mining, because they were too slow. At that point I think I had about 2000 coins. I used 1000 to build a mining rig with video cards. That never really panned out because I kept having power problems. That was a million $$ mistake, but I’m thankful for what I have. I think that third computer probably cost $10k retail! Subg. Back to your 800 coins. Why sell 700? MichLLL. I’m not really sure if the technology will make it. I think the biggest factor will be regulation. The technology is actually good, but some governments are already working on ways to discredit it. Subg. Why keep 100 then? MichLLL. 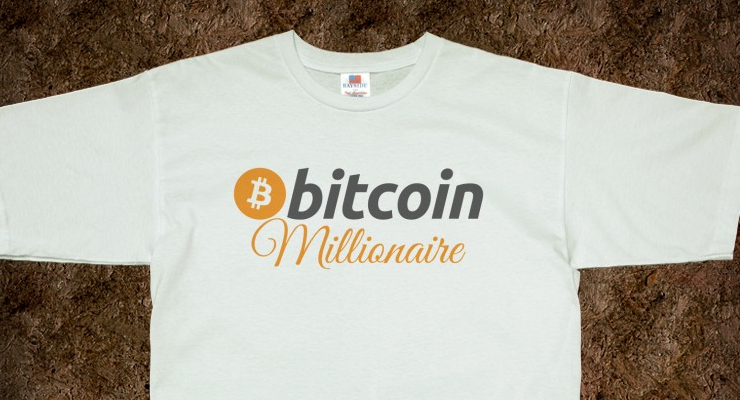 If it does make it, the buzz # is $10,000 per coin. Some guys throw around the million number, I don’t believe that. I think we can reach $10k in 2 years. That will give me a mil. Subg. You know, your not really a millionaire now? MichLLL. I never said I was. But yeah. I don’t know a whole lot about the tax system(I’m learning quickly! ), but once I sell those 700 I think I will owe about $300k in taxes. Subg. Thanks Michael. I gotta run. Getting late. MichLLL. NP. Spread the word.